The Interior Design Program at Iowa State University offers the professional Bachelor of Fine Arts in Interior Design degree. Accredited by the Council for Interior Design Accreditation (CIDA), this four-year degree consists of one year in the College of Design’s preprofessional Core Design Program, followed by three years in the professional Bachelor of Fine Arts (BFA) degree program. 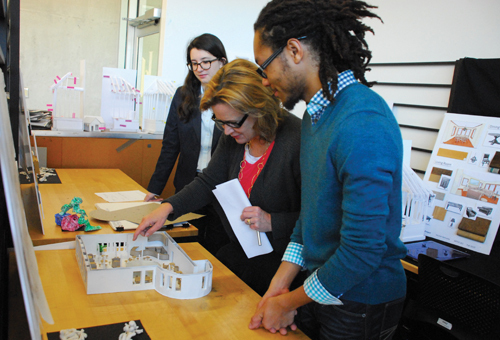 The interior design program annually admits 60 students into the professional program. The BFA degree from Iowa State provides the foundation for becoming a registered interior designer. Students develop competency in areas such as creative problem solving, ergonomics, lighting, history, structures, color, materials, building and fire codes, as well as an understanding of people and the way environment affects behavior.